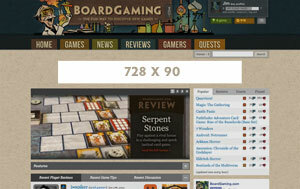 BoardGaming.com provides a welcoming and fun environment for anyone interested in games. You can be assured that your ads are reaching the right people because we are 100% about games. 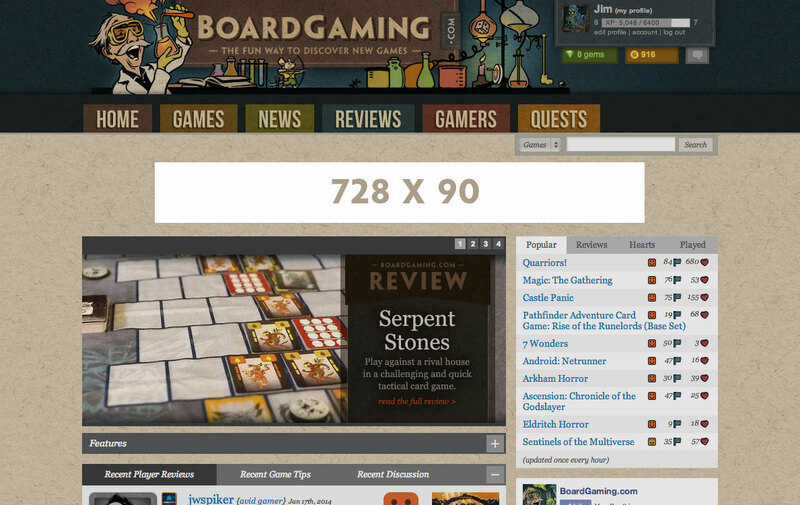 Just like the many engaging user features of BoardGaming.com, this site offers unique and effective ways for the game industry to connect with its audience. Simply lock in the time you'd like to advertise and send us the banner and/or sidebar ad art. Sold in weekly increments. Pricing: Contact us for more information about options and pricing. 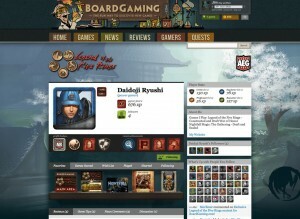 Profile items are the avatars, badges and profile themes that BoardGaming.com offers its users. Profile items based on your games offer many advertising opportunities. While using your profile items, our users become promoters around the site for you and your games! Below is an example of a profile page of a user that is a fan of Legend of the Five Rings. Their avatar, profile page background and many of their badges are all using art from the game. Other users that visit this gamer's profile will see this. Also, this user's avatar and badges will be seen anywhere they have posted a comment, user review, game tip, etc. Pricing: Contact us for more information.